Once confirmed, Original will courier to customer's address. ＋ What document are you provide? We provide all documents bellow which are complete list of documents required for hassle free clearing your vehicle from custom. If anything else you need please let us know. Impressive photo portfolio which helps you to sell the car before it’s even arrived. ＋Can you de-register vehicle with in 14 days. Yes we can. We know this is one of the very important requirement we need to fulfill. ＋Can you help us to clear vehicle from Singapore port? Once the vehicle has been purchased and shipped to Singapore, the importer may apply for an assessment of the vehicle’s customs value. An application has to be submitted for every imported unit of vehicle. Once the application is approved, an approval letter from Singapore Customs containing details of the vehicle, such as unit price and incoterms, will be sent to the importer. +What is the duty for import vehicle? 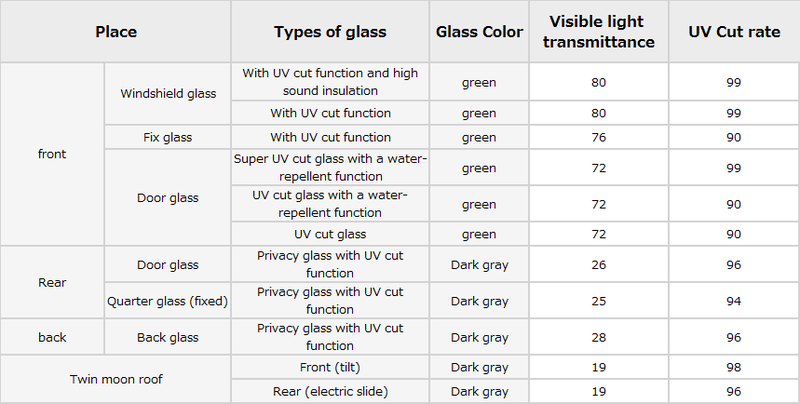 ＋What is the light transmittance requirement for the windscreen and door glasses? Light transmittance for the front windscreen and two front side windows must be at least 70%. Light transmittance for the rear windscreen and the rear passenger windows must be at least 25%. ＋What is OMV? It stands for Open Market Value. OMV is assessed by the Singapore Customs, based on the price actually paid or payable for the goods when sold for export to the country of importation. This price includes purchase price, freight, insurance and all other charges incidental to the sale and delivery of the car to Singapore. To obtain the average OMVs of commonly-registered car models, please click here and follow the steps. ＋ Where can i find VETL EMISSION DATA?